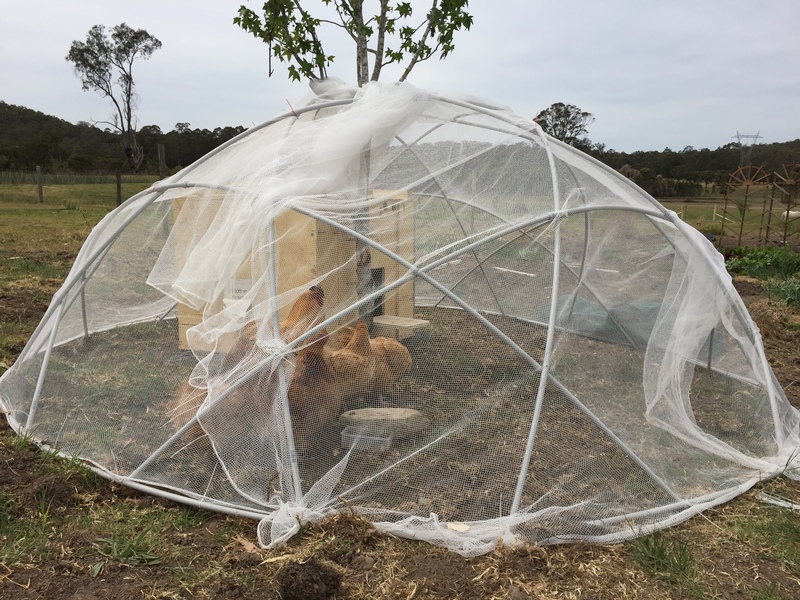 We’ve had great interest in the beautifully constructed chicken domes that we use in the veggie patch. Anthony built the domes out of 3/4″ electrical conduit going off the instructions at www.milkwood.net/2009/07/27/how_to_build_a_geodesic_chook_dome/. Anthony adjusted the measurements to suit our 4m diameter circles. If you have any questions just comment below, Anthony is happy to help. 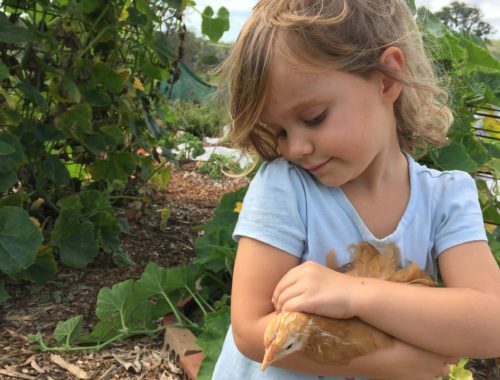 The chickens are not only an integral part of our veggie patch, they are much loved. We’ve put the chickens to work doing what comes naturally, fertilising and removing weeds. In 2 weeks time we’ll have another garden bed ready to plant out with veggies. Thankyou Anthony for designing and building the wonderful dome for the chickens.